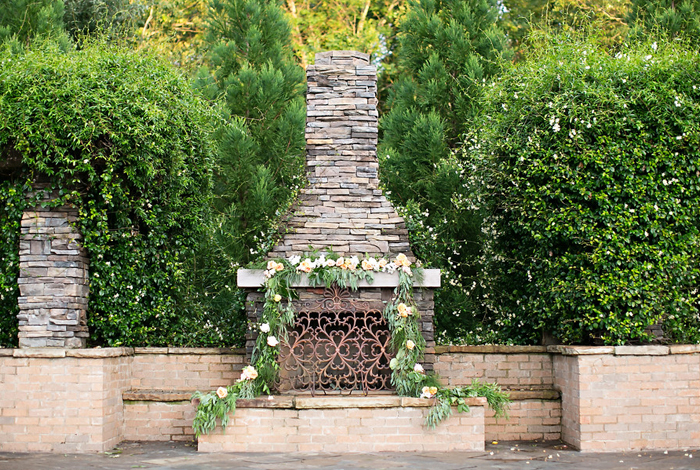 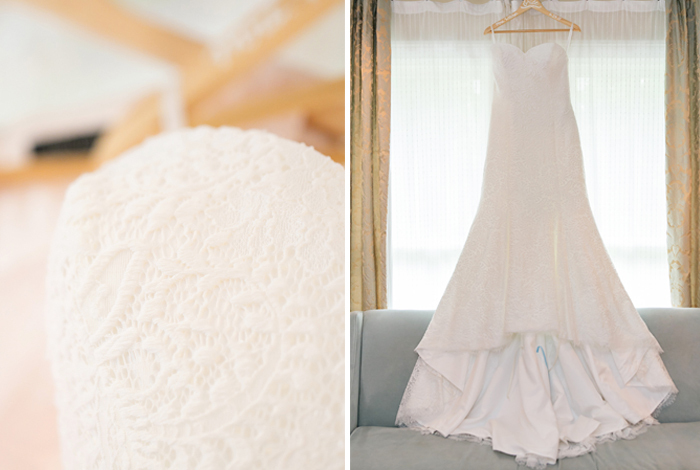 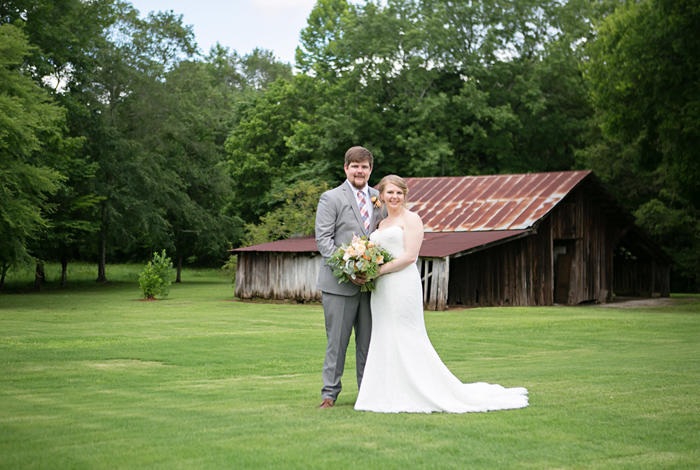 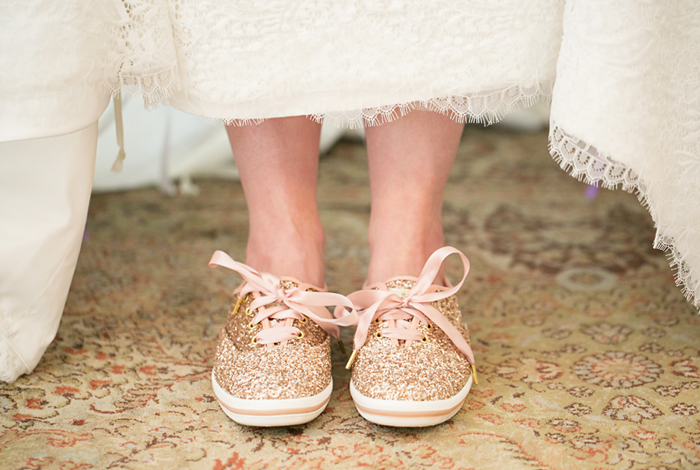 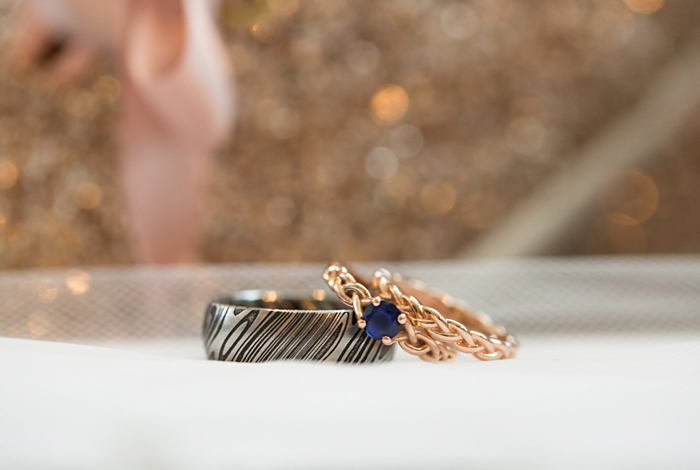 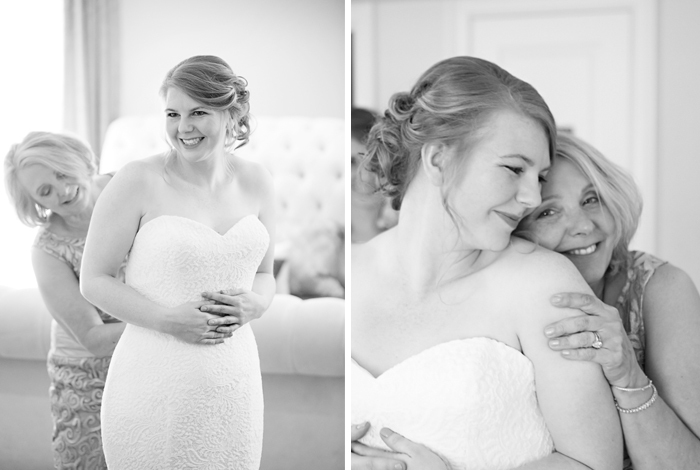 Georgia Peach & Mississippi Magnolia Wedding | Emily + MitchThe Sonnet House - Wedding and Event Facility in Leeds, AL. 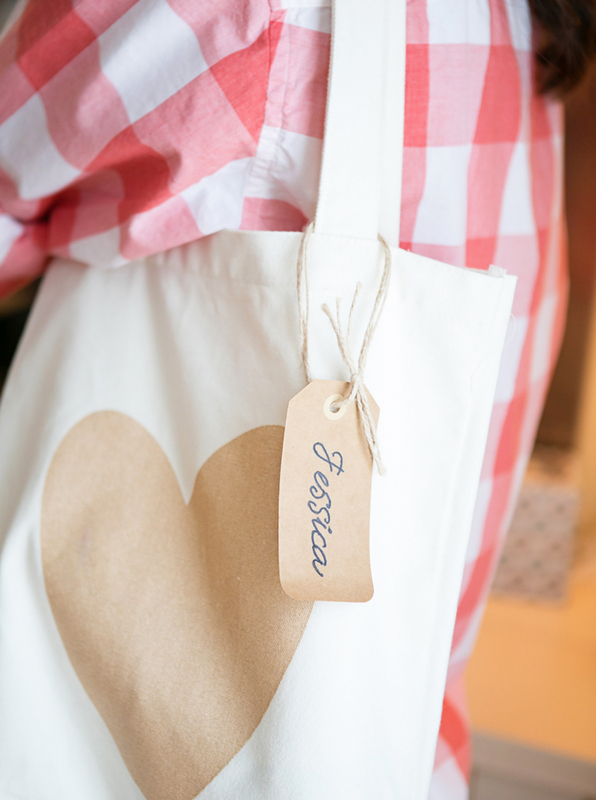 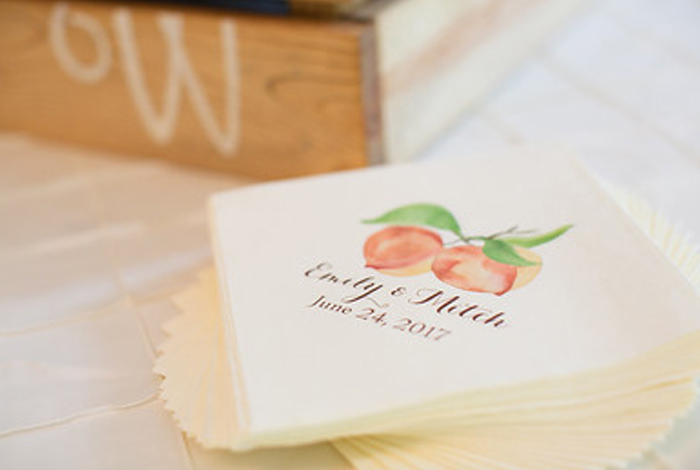 When it came time to start planning their Summer Sonnet House wedding we were thrilled to hear Emily + Mitch wanted to incorporate touches from their home states into their decor. 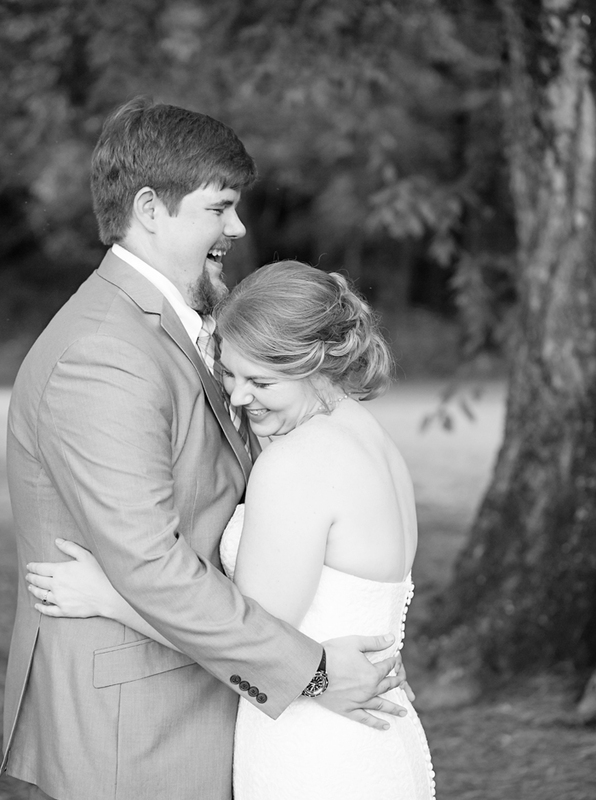 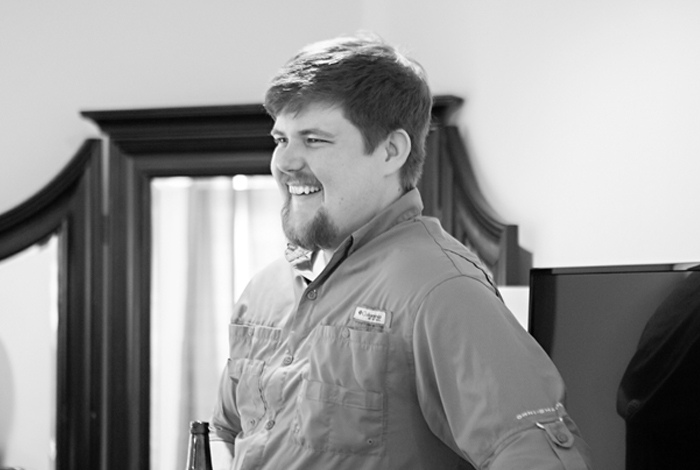 You seen, Emily is from Georgia and Mitch calls Mississippi home. 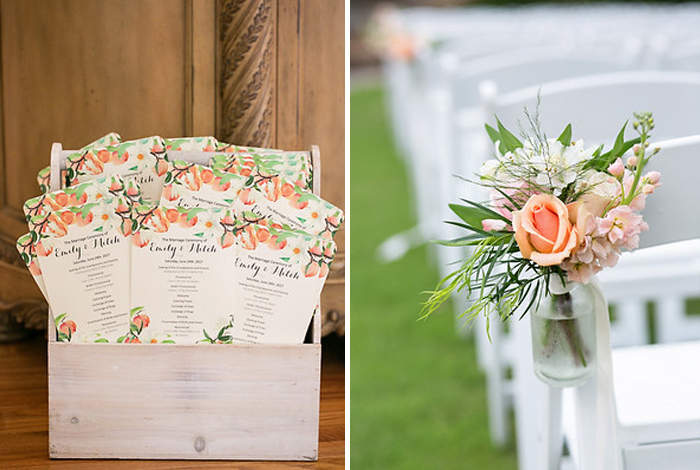 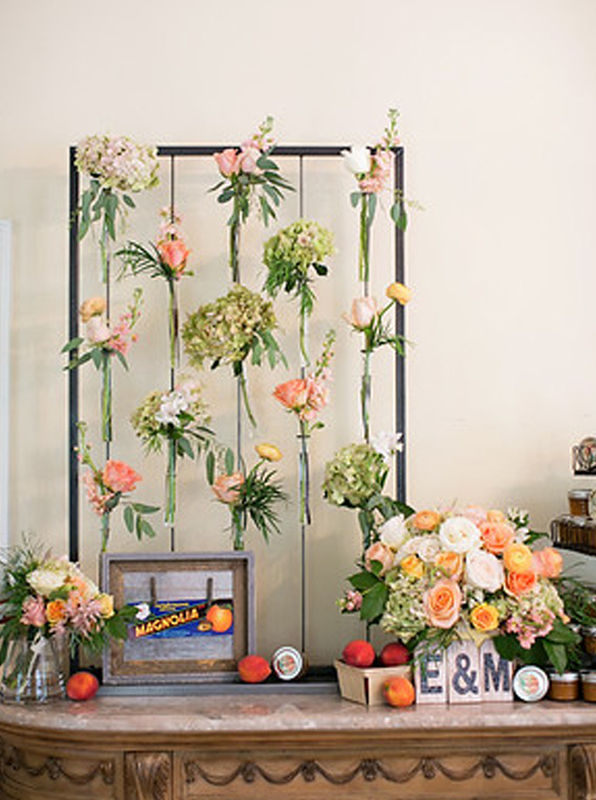 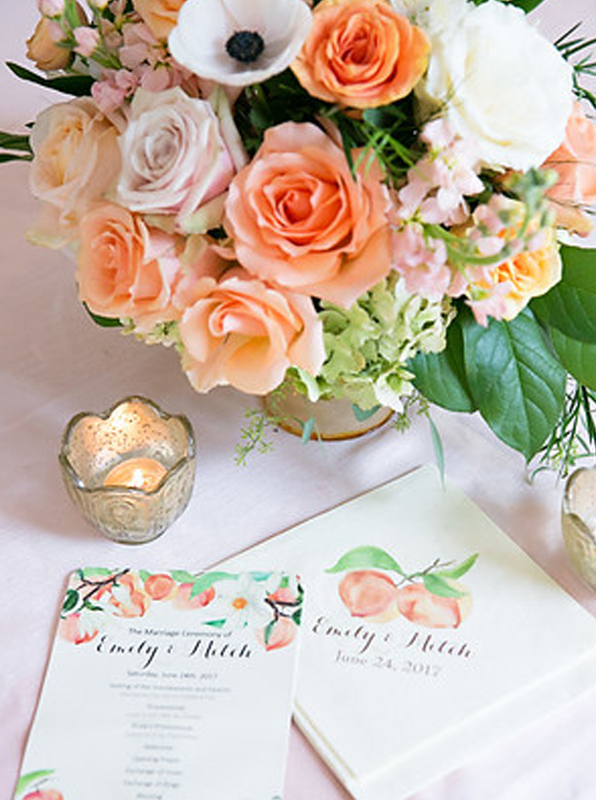 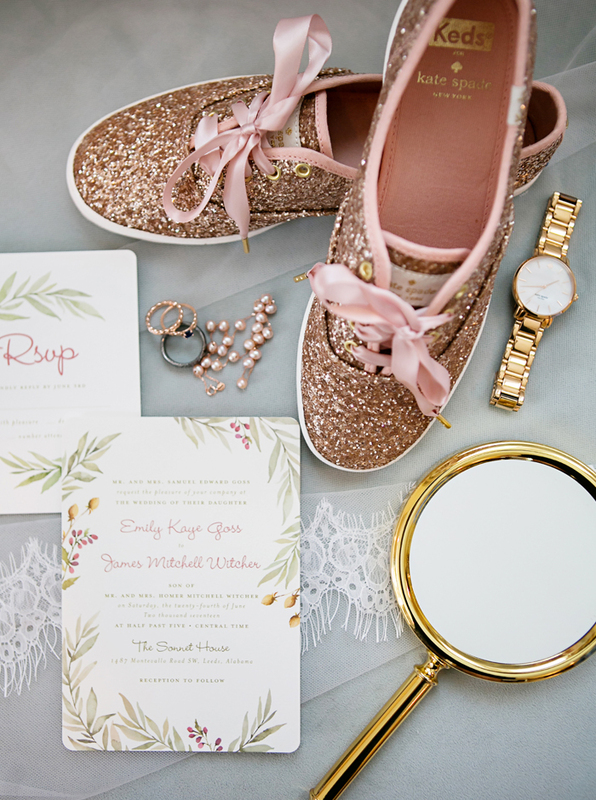 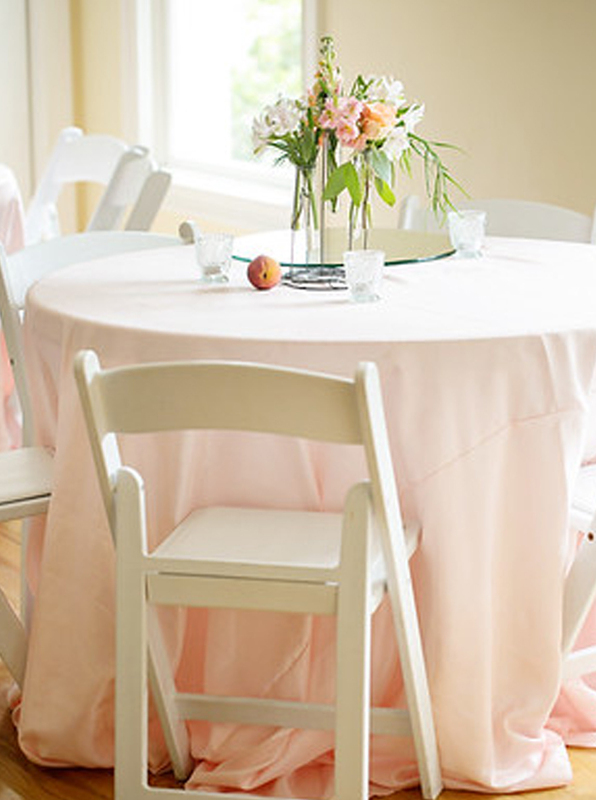 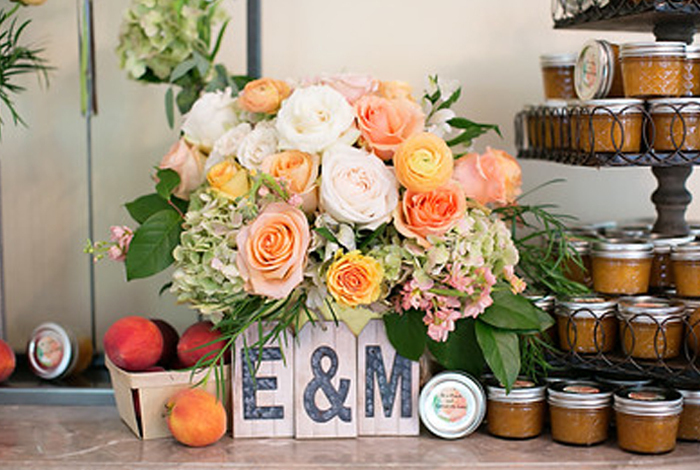 Peach just so happened to be one of Emily’s favorite colors and so Corey Daniel Florals worked closely to create the perfect palette for the decor. 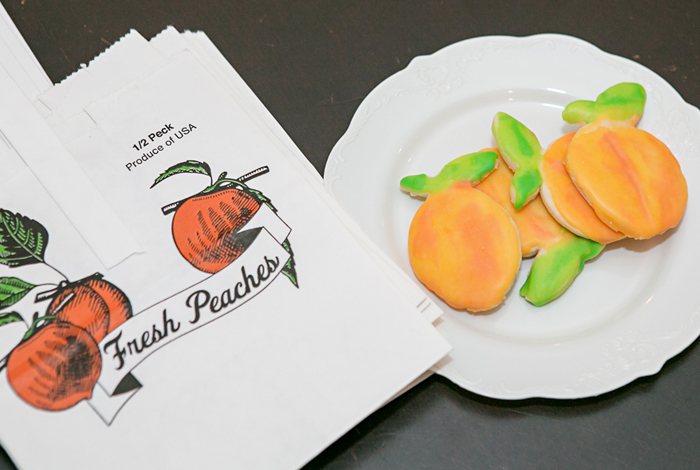 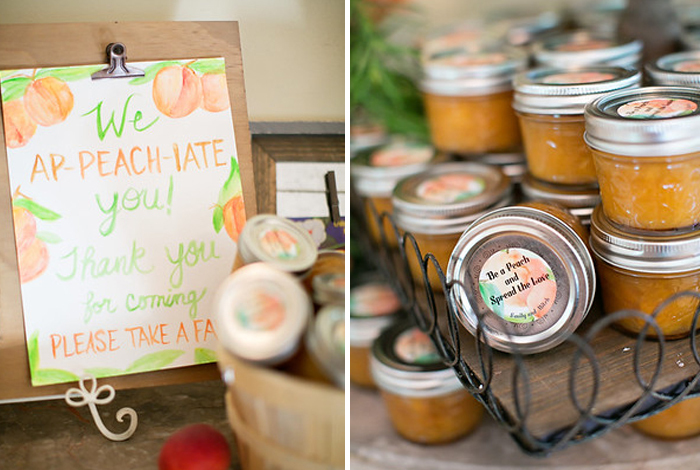 Actual peaches were used as accents throughout the day and guests even took home an adorable favor of peach preserves which were homemade by the bride and her family. 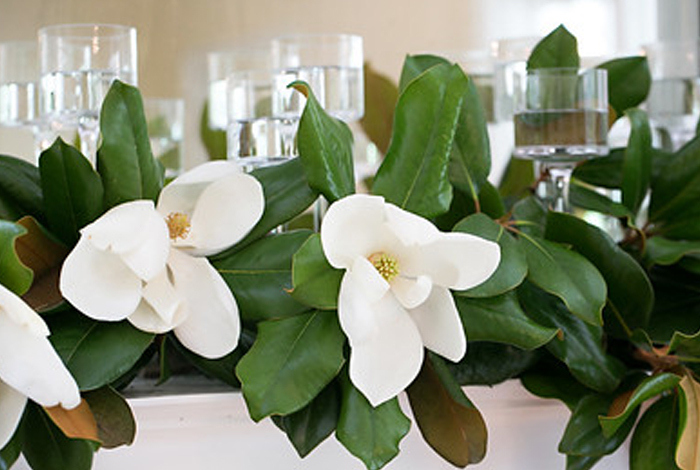 Magnolias were used in areas such as the cake mantel so that they wouldn’t brown in the June heat. 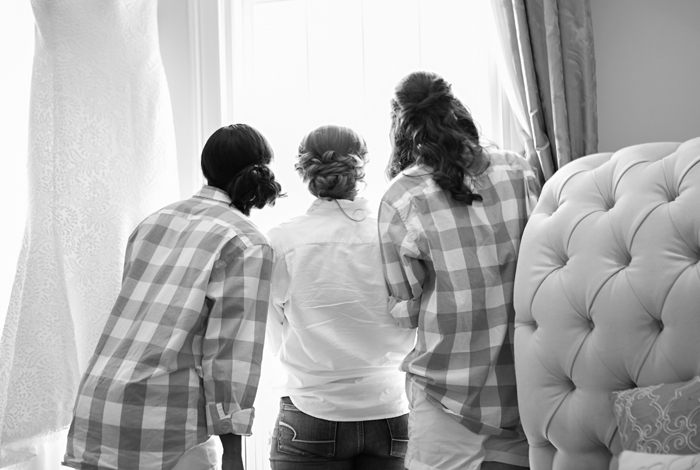 The day started at Morgan Ashley Salon, just up the street from The Sonnet House, where the bridesmaids and bride had a girl’s morning while getting their hair and make up done. 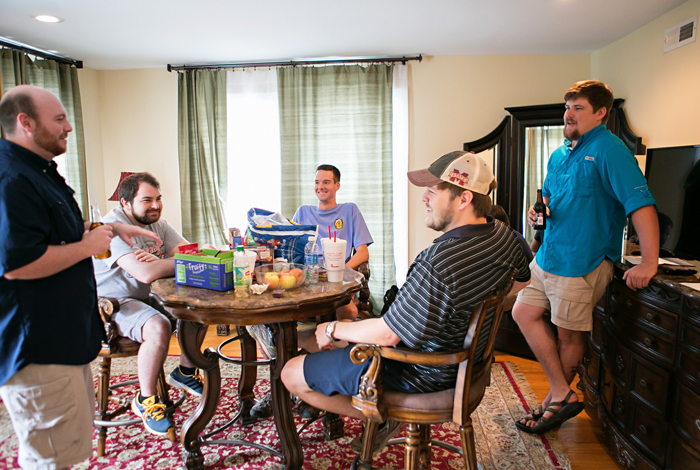 The guys hung out in the groom’s suite watching baseball and playing cards. 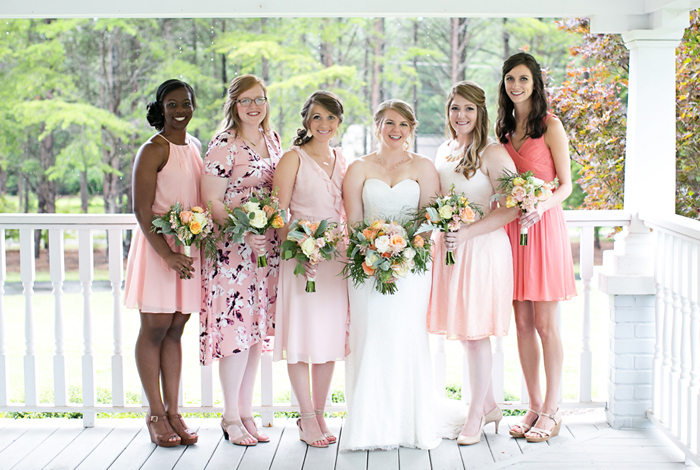 Emily wore a stunning Private Label gown from Carrie’s Bridal Collection in Atlanta, Georgia and each of her bridesmaids wore a peach dress that they picked out themselves. 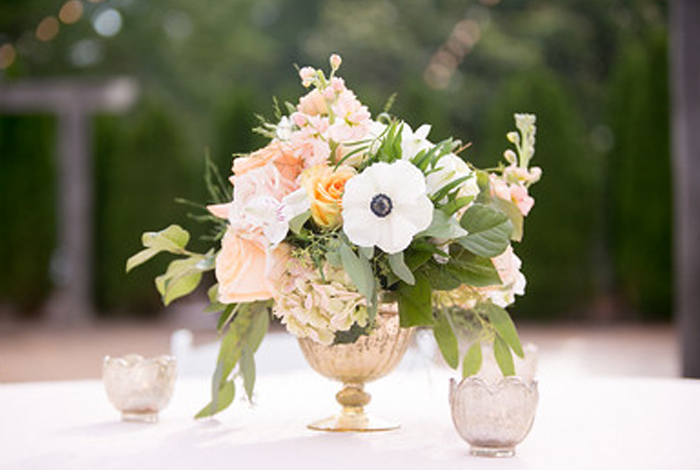 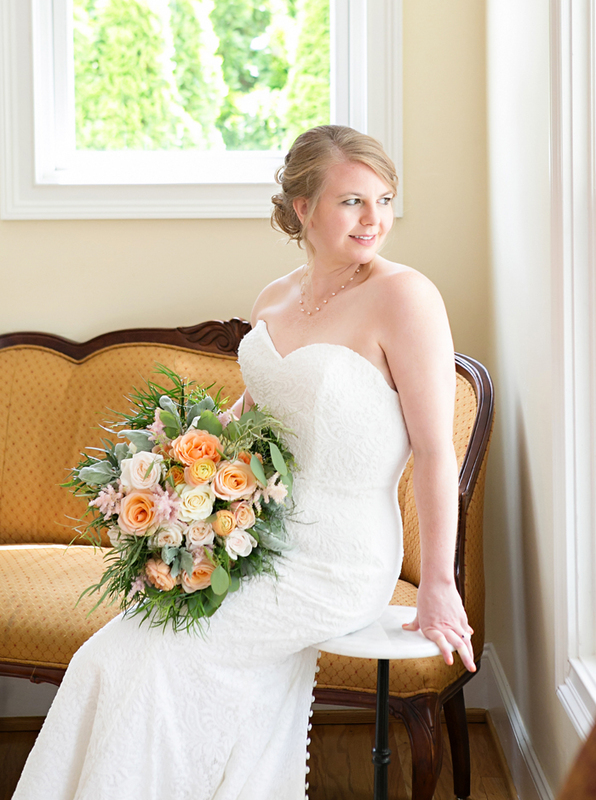 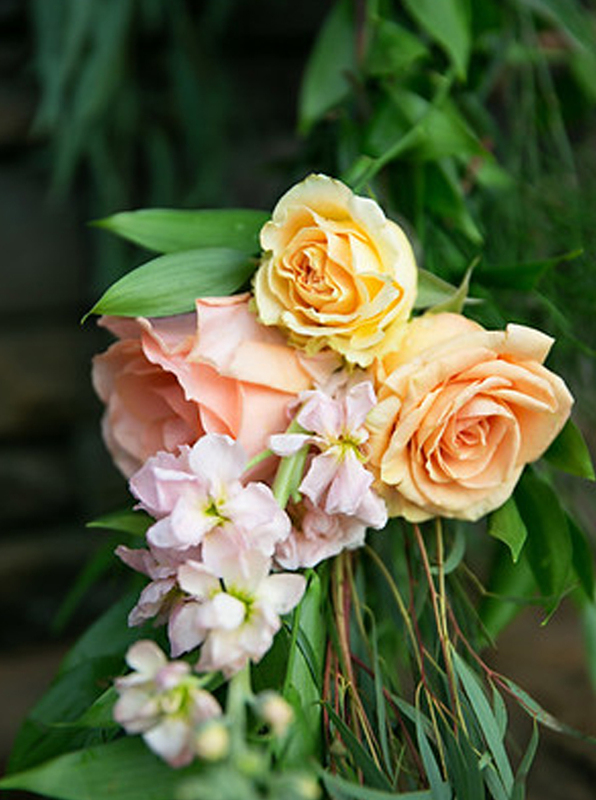 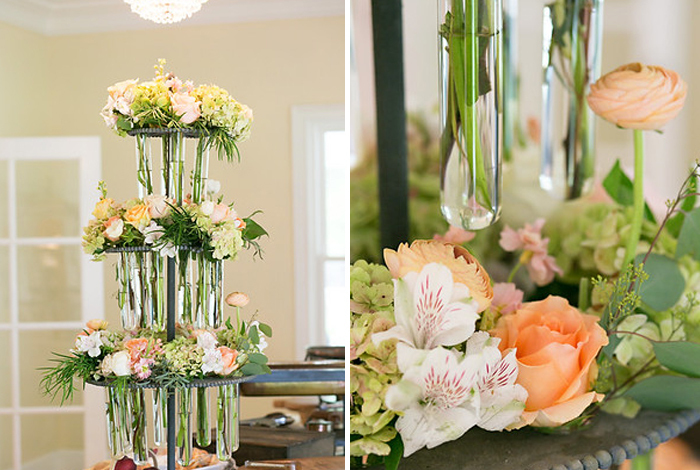 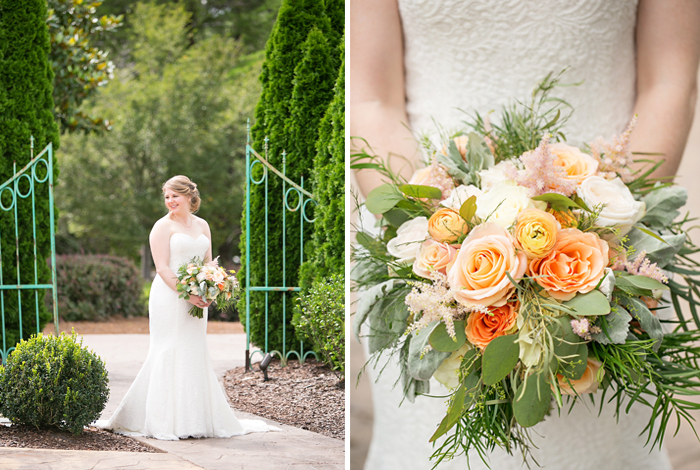 They carried jaw-droopingly beautiful garden style bouquets in shades of peach that were made with beautiful Southern blooms like ranunculus, garden roses, antique green hydrangea and of course a little tree fern. 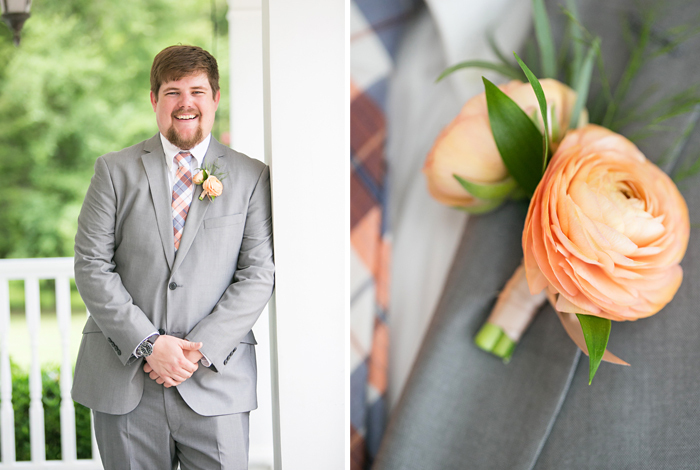 Each time we met with Emily + Mitch they would remind us that his Best Man, Landon, may (aka probably) pull a prank on the wedding day and that we should just expect it. 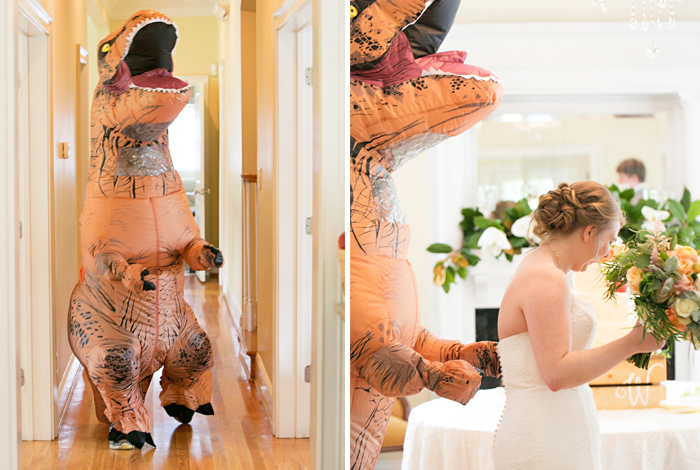 You see, years ago when Landon tied the knot, Mitch pulled a prank on him at his rehearsal dinner. 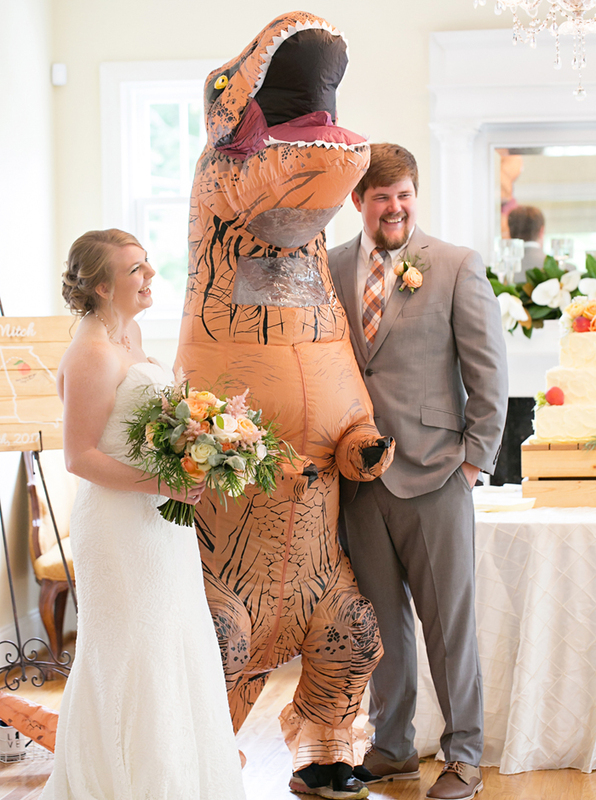 He got the last laugh because when it came time to begin photos, Landon came down dressed in a blow up T-Rex costume. 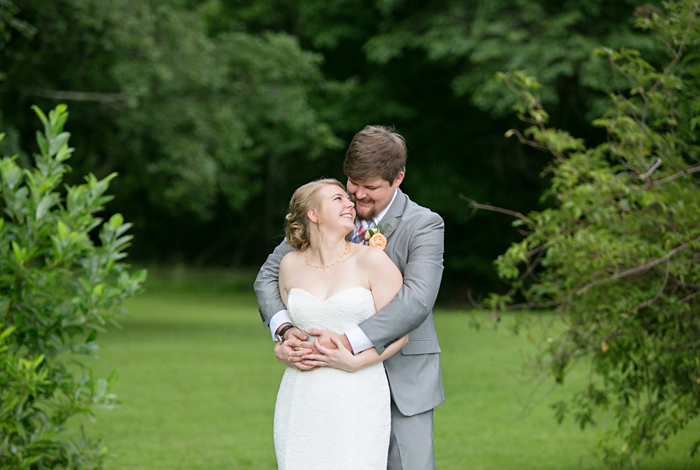 Not only was it a light hearted moment at a point in the day that can be stressful, but it was a fabulous photo opportunity that we’re so glad they didn’t pass up. 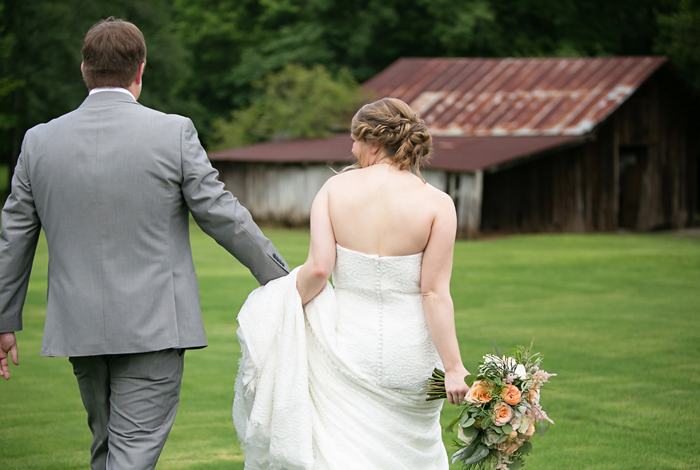 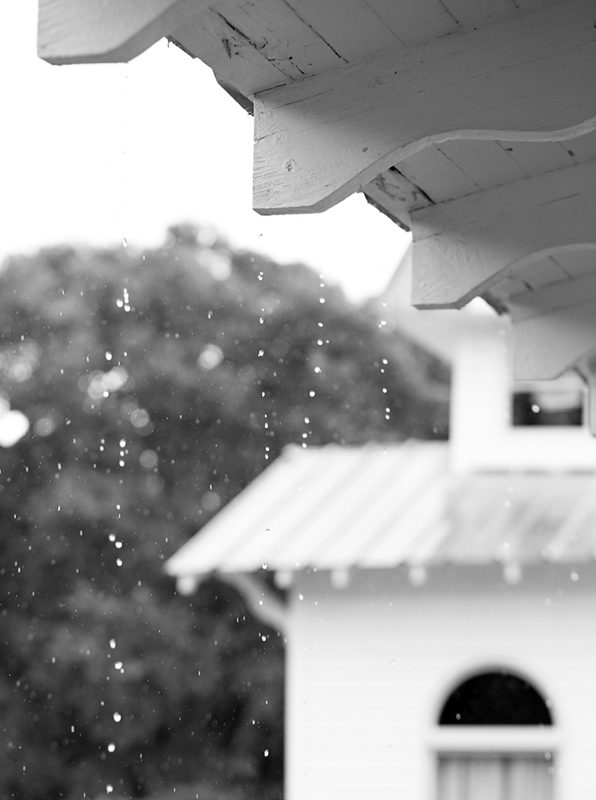 It wouldn’t be a Summer wedding in Alabama if we didn’t have a late afternoon shower pass through. 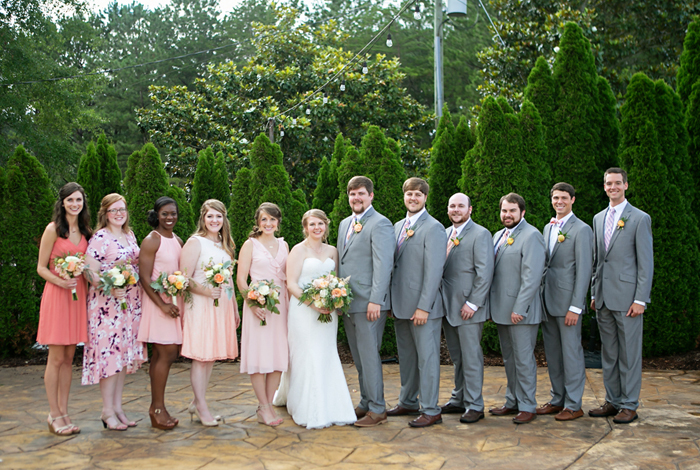 Luckily it came at the right time and we were able to dry off the ceremony chairs while the bridal party finished up photos and the show went on without a hitch. 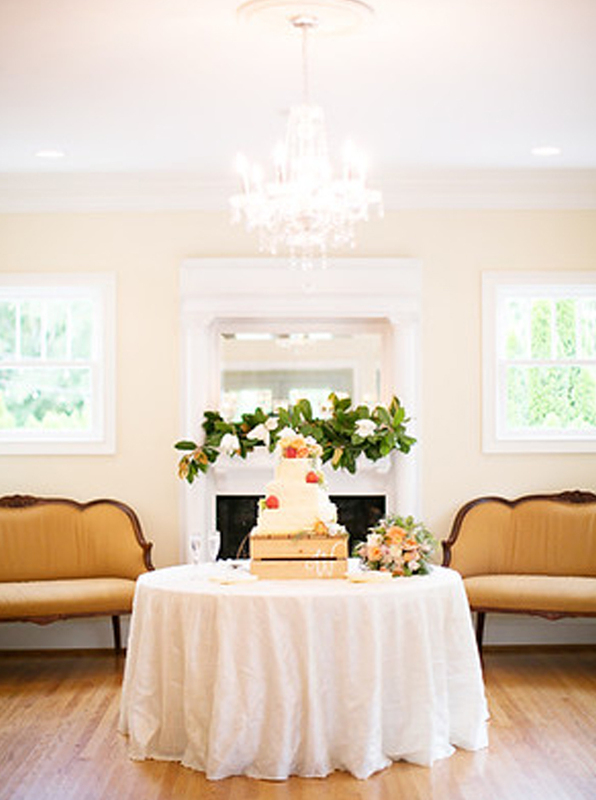 The amazing crew at On Site Productions took care of both the ceremony and reception music while Edgar’s Bakery made sure everyone had something sweet to follow dinner. 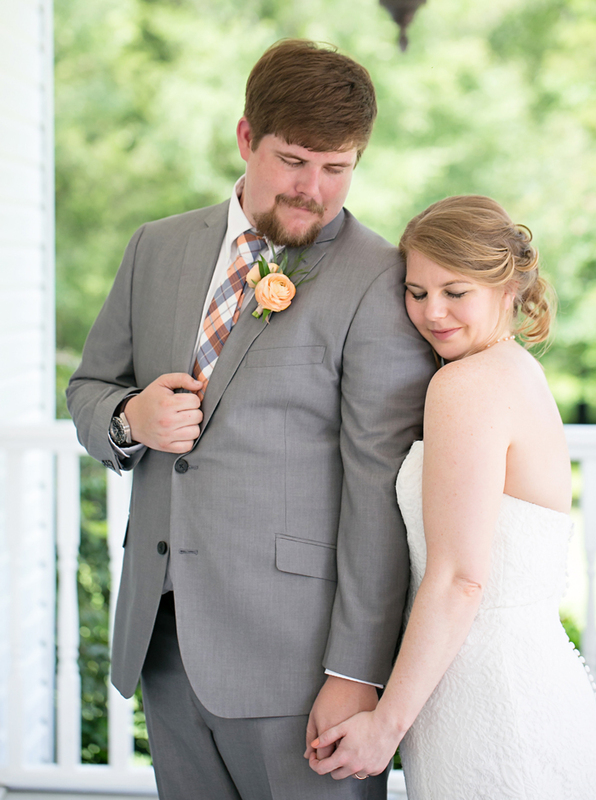 The entire day was captured by Amanda Pair Photography and we can’t thank her enough for sharing her lovely work with us. 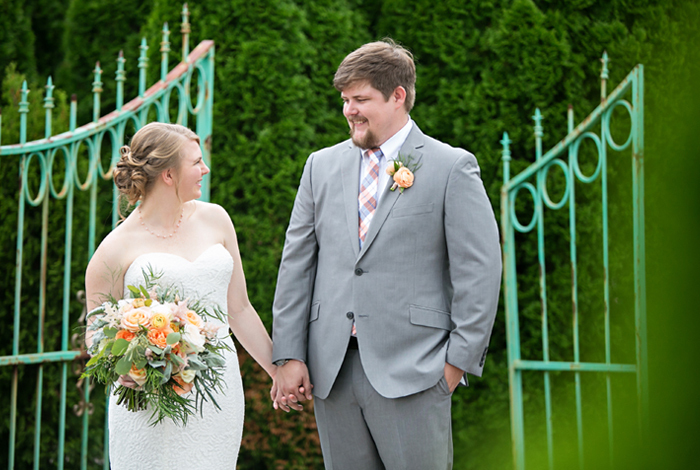 Congratulations, Emily + Mitch!